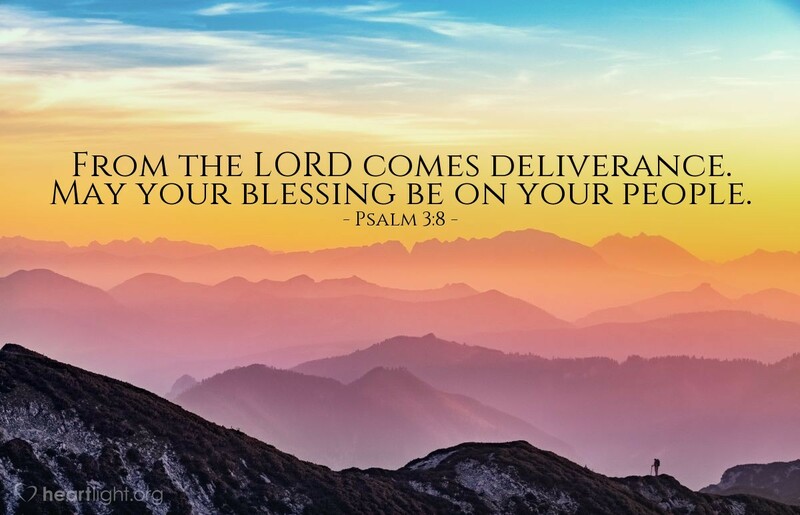 Deliverance does come from the LORD, the God of Abraham, Isaac, and Jacob, our Father. So we ask him to bless us with his richest and greatest blessings. But, he has already given his people the very greatest blessing, the gift of his Son. Now if we will only acknowlege and appreciate that blessing. Thank you, O God, for the salvation you have given me in Jesus. Use me to spread this blessing to others so that the people I know and love will come to know your Son as their Savior and Lord. In Jesus' name I pray. Amen.